He said in Jammu and Kashmir 398 Primary Health Centres have been co-located with Indian System of Medicine and Allopathic treatment. Azad said that the union government has provided financial assistance to the state government for construction and up gradation of 322 health centres and hospitals in the State. 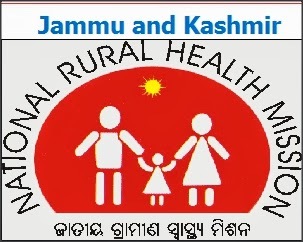 In order to make the jobs lucrative for doctors in the rural and far-flung areas, the monthly remuneration for them have been raised to the level of Rs 55,000 with the central initiative. The Centre has also assisted the state government to get 485 ambulances and make over 10,600 Asha Workers functional. The annual grants under National Rural Health Mission to the state have been increased from Rs 232 crores to Rs 436 crores. He also highlighted the initiative of AYUSH and said that six systems of medicines namely, Ayurveda, Yoga-naturalpathy, Unani, Sidda, Sowa-rigga and Homoeopathy are under its ambit to popularise the treatment of different diseases under the Indian System of Medicine. Azad said that the holding of Arogya Mela in Jammu in the month of December is aimed at reaching out to maximum people as a large number of people from other districts remain in Jammu during the winter months.